Our Roselawn House Office Suites offer a fully flexible Office Service which can be tailored to suit your business needs. You can have a full-time office with access to services and facilities to use whenever you need. Roselawn House offers the business community first-class support services in a professional environment. . This four story office building is situated in the heart of the Raheen Business Park, Limerick. Raheen Business Park is located just three miles from Limerick City and is home to many international companies. .
UniKids is located in the National Technology Park, next door to Roselawn House in the University Business Complex, and less than 2 minutes drive from the University of Limerick. Our childcare centre is a state-of-the-art purpose built facility which combines a safe and stimulating environment both indoors and outdoors for children. . Established in 1990, Limerick entrepreneur P.J. Noonan was the driving force behind Noonangroup.com which initially incorporated companies within the construction industry. With Noonan Civil Engineering Ltd being the cornerstone of the group, it soon became a leader in building and civil engineering contracting. Partnering to deliver service, Noomac Plant Ltd and Ryno Developments Ltd soon became leaders in their field bringing dynamic construction solutions to all sectors. Committed to quality and service and recognising market demands, PJ Noonan Developments consistently delivered projects right through from site acquisition to project construction whether basic shell and core or complete turnkey solutions. Capitalising on new opportunities and with a reputation for high quality properties, focus moved to delivering landmark buildings leading to the construction of the Houston Hall building in the Raheen Business Park. Fully committed to its buildings and tenants, services then extended to include property management, hence the establishment of Houston Hall Management Company Limited. Recognising business trends and demands at the turn of the century, the famous original Dell Building in the National Technology Park was purchased by the group and warehousing and logistics were supported from the building for a further decade. However, the groups passion for innovation combined with quality design and build continued throughout this period and the next couple of years saw the construction of further landmark properties. With quality design as a key factor, the state-of-art purpose built serviced offices at Roselawn House are home to many companies across the globe, from local individuals and start-ups to large multi-nationals and government bodies. Unikids Childcare Limited, a fully inclusive childcare facility, is another extension of the group which is also situated in the University Business Complex within the National Technology Park. However, one of the groups most creative designs and builds was the construction of Unigolf Club a truly original design of an 18 hole indoor golf putting course! Endorsed by many of the famous golfers competing in the 2008 Irish Open at Adare Manor, Unigolf Club introduced the first Golf Motion Analysis system in Europe. Responding to market demands and committed to innovation, with Limerick winning the National City of Culture 2014, activities soon changed as the Dell Building was transformed to The Culture Factory. Perhaps the foundation of what was to come in 2017 which saw the building transform into Troy Studios, finally bringing the film industry to Limerick. However changes continue and innovation is flourishing at the Unigolf Club building as it is now transformed into a Research and Development Centre of Excellence for a leading global medical technology company. 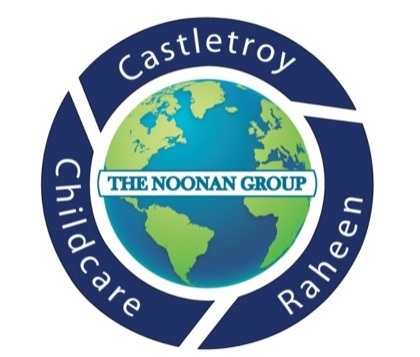 With a strong balance between business foresight and performance, the Noonan Group certainly has brought great diversity, not only to its own business acumen but also to the wider National Technology Park, as it leads with positivity and commitment into another decade. © Noonan Group – National Technology Park - Limerick. All rights reserved.